Welcome Fall! I can feel the change in the air. The humidity doesn’t seem to be choking the air out of my lungs, and I am not changing clothes 3x on any given weekend day. I also noticed that my horses are starting to get fuzzy. A big THANK YOU to everyone who participated at the World Equestrian Games. From volunteering, coaching, crewing, competing, leasing horses to others, and offering up great southern hospitality, your efforts and time were appreciated by many. 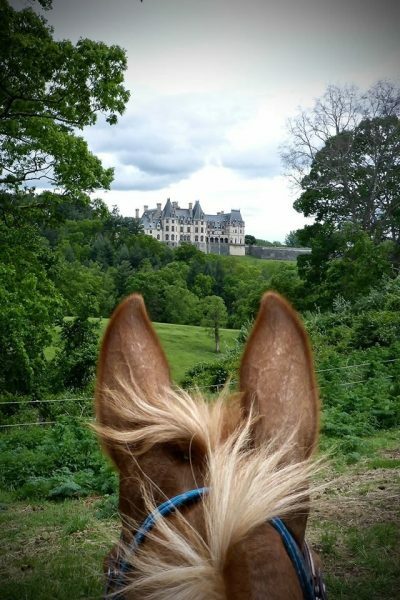 Following the WEG, we had the AERC National Championships 45 miles from Tryon at the beautiful Biltmore Estate. With Hurricane Florence soaking the Carolina’s, ride management was ready to cancel if they had to. Luckily, the grounds were no worse for wear and the ride was ON! Both open and championship distances were available. I’m happy to say that our SEDRA members did fantastic! Cheryl Van Deusen 1st MW on the 100 on Ebs Regal Majjaan. Regal also completed the LD 25 in 23rd place on FRI to warm up for the 100! Cheryl Van Deusen 2nd MW on the 50 On Nazeef’s Flashy Rose. Other completions on the 50; Yvette Vinton on Ebony’s Easter Lily, Gayle King on Coup, Denise Secino on Windstalker, Roxanne Ciccone on Mr Sapphire RS, and Patsy Gowen on PW September Hero. Welcome to our new members and to those who renewed their membership! I am looking forward to meeting all of you and wish you the best of luck this ride season! SEDRA is more than about the awards. Way more! We are local. We are involved in our communities. Both personally and as an organization, we have dedicated ourselves and funds to the preservation of the trails we use to compete on. Those who volunteered to become members of the Board dedicate their time to continue making this a great club and to service the members with their objectives in mind. We are responsible. We offer clinics to provide those with an interest in distance riding the opportunity to learn how to compete successfully. We assist at rides through volunteering. We welcome new riders with open arms. We are current. Our website and FB page offers articles, ride locations, sale items and the ability to share ride stories and to ask questions that are typical to our area. Fellowship. We are a group of people who love the sport, our animals and what nature offers us to enjoy in its fullest. We are your voice when it involves distance riding in the Southeast. WE ARE ONE. 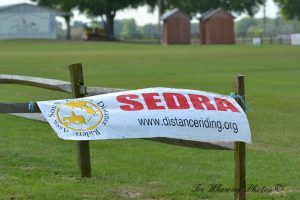 As a member of SEDRA, you are qualified (along with your horse when you nominate them) to win amazing awards based on miles, placings and good horsemanship. We offer mileage awards that accumulate the miles rode AND placement awards based on how well you finished the sanctioned rides you entered based on the criteria set in the rule book. You can be recognized by your peers by nomination with special awards. 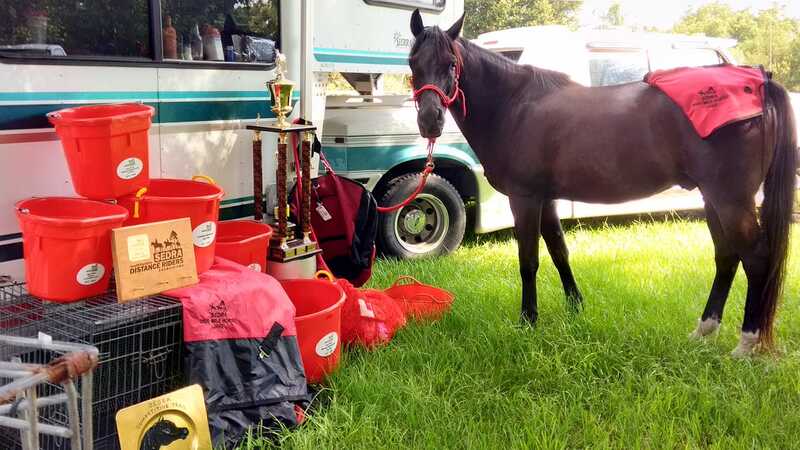 There are awards where you can nominate your horse for their 1st 100-mile achievement, a futurity 100 mile award (3 100’s) and the bronze, silver or gold medal achievement award. We have a decade team award for same horse and rider as well as decade horse award. We recognize your first 250, 500, 1000 miles with increments of 500 miles after. We recognize your horse also with the same mileage increments. We continue to recognize your achievements while you are a member. Can’t ride and can only volunteer? We recognize that too! In June of every year we CELEBRATE everyone’s accomplishments! Don’t miss out!! 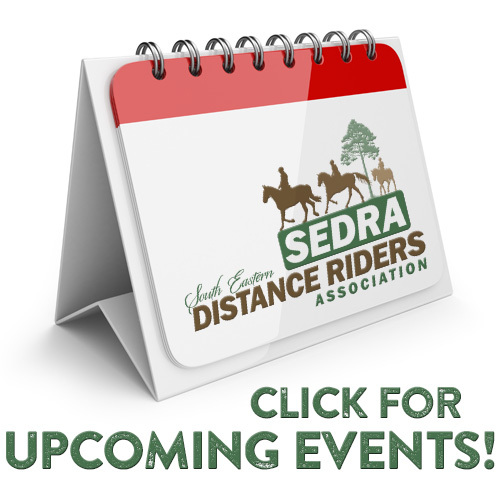 Don’t start this ride season without joining or renewing your SEDRA membership! Cindy Norse and Jake's 2017-18 awards! As a horse owner, at one time or another you have asked for advice on “what should I feed to help with____ (name your problem here)? Or what supplements should I add to help with ___? Lord knows there is a wealth of information out there, some of it good, some of it less than good and many sales pitches promising miracles. Not all horses are created equal. What may be an ideal feed for one horse may not work for another. 1) We are a FACT/EVIDENCE BASED group first and then we factor in personal experiences and/or opinions second. SO BE PREPARED TO BACK UP YOUR STATEMENTS, especially if there is credible evidence that suggests otherwise. 2)) WE WILL ALWAYS ASK FOR MORE INFORMATION. The problem with giving opinions based on no pertinent background information of the situation is that they are just that, an opinion with no credible info to determine whether it is suitable. Personal opinions made without the basic background info generally don’t apply to every given situation. Horses are individuals much like humans — what works for one may not work for the next. 3) When asking an opinion on a given feed, product, supplement, health related issue, etc, know that we do things a bit different in this group. We assess the situation by asking for the pertinent background information first and then based on that info and what is available to the horse owner, we give you some possible options. And if you just want to chat with others on a problem that one of us may have experienced, please go to the SEDRA chat page on Facebook or our Yahoo page. We may not always be scientific, but we’ll offer advice and suggestions on what worked for us in a like situation. The Goethe Benefit ride will be held on December 14-15 at the beautiful Black Prong Equestrian Center in Morriston, FL. If you’ve never been to Black Prong before, it’s got everything: pavilion, stalls, paddocks, bathrooms, hookups, and even gorgeous apartment/barns that can be rented. 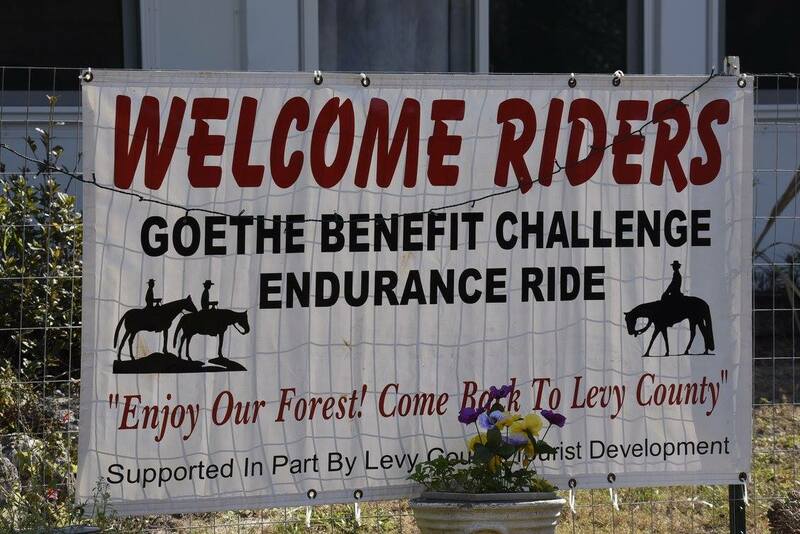 This ride is a benefit to give back to the Goethe State Forest. 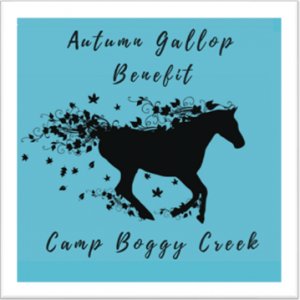 The local State Forestry team is tremendously supportive of the local equestrians, and this ride is focused on raising money and awareness. Helen Koehler started this annual ride 20 years ago and has called it quits, so Lori Shifflet and myself (Jo Harder) are managing the ride this year. Each day features an intro, 25, and 50, as well as a 2-day 100 for those that want to tackle 100 miles over two days instead of one. 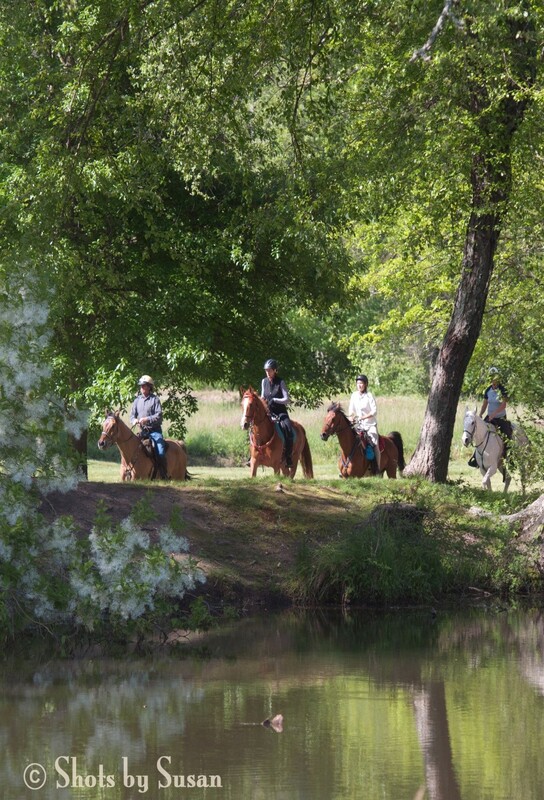 Goethe Forest trails are lovely, and this is not a ride to be missed! Spruce Creek had a date change! 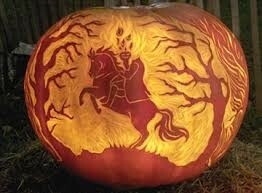 The ride is now October 13 and 14. 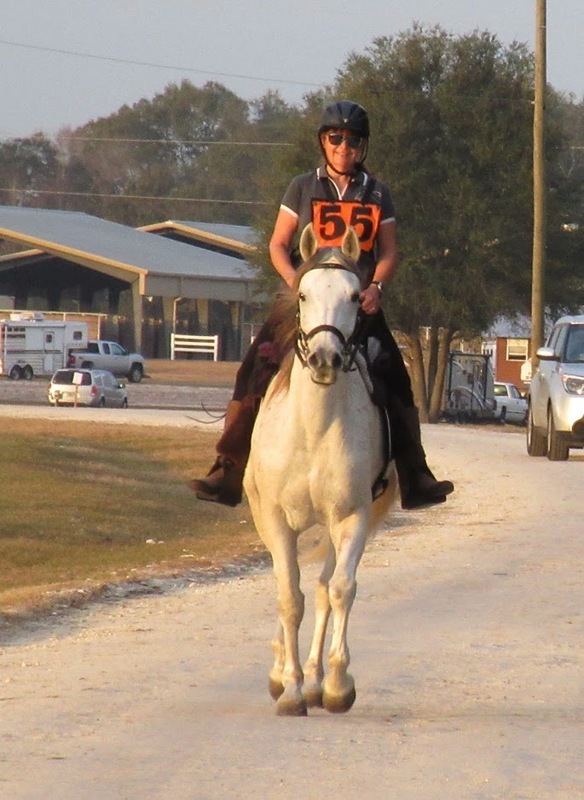 There is an Endurance ride including an IDR on Saturday and a CTR on Sunday. If you do well on Saturday, stay and ride the CTR on Sunday! The FHA Clinic will be held October 27 and 28 at Doug Shearer’s lovely farm. Encourage anyone you know who is interested in distance riding to join us. Speakers are lined up to discuss topics regarding horse camping, horse gear, and all things related to competing successfully. There will be a 10- mile IDR and 25-mile CTR offered on Sunday. Carol Thompson and I will be hosting a social Saturday night. Everyone is invited. Day 1 – Start by donating $50 yourself. Day 2 – Ask two family members to sponsor you for $50 each. Day 3 – Ask five friends to contribute $25. Day 5 – Ask five neighbors to contribute $15. Day 6 – Ask five people from your church/temple for $15. Day 7 – Ask your boss for a company contribution of $75. Day 8 – Ask five local merchants to sponsor you for $50. Day 9 – Ask two businesses you frequent for $50. By doing the math you’ll see it’s simple to raise $1,000 in nine days! I am ready to get this season started! See you at ride camp soon!